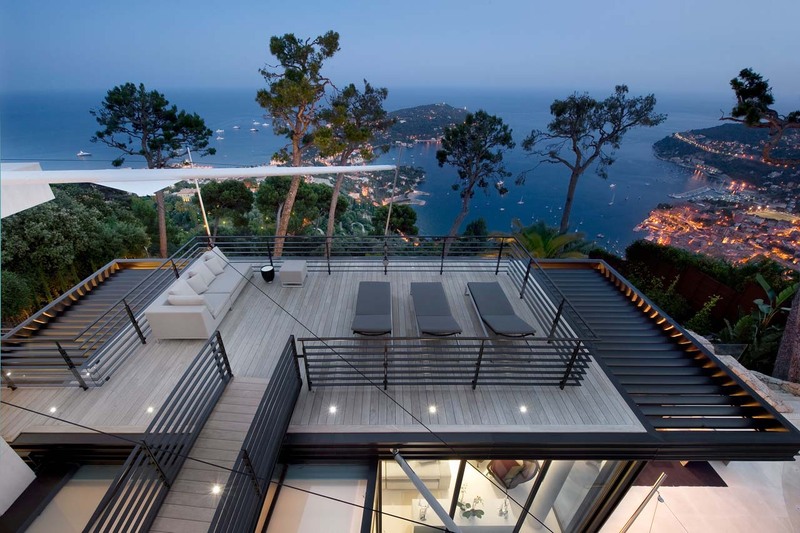 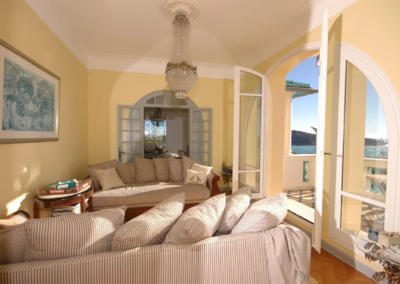 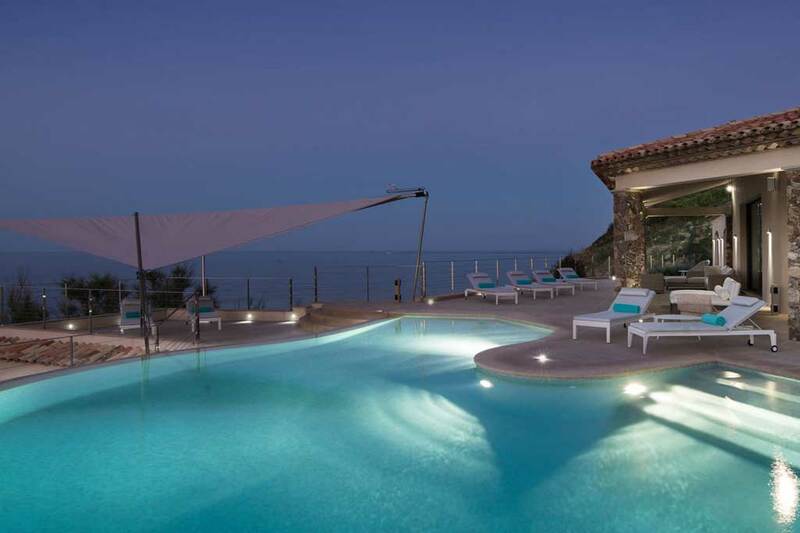 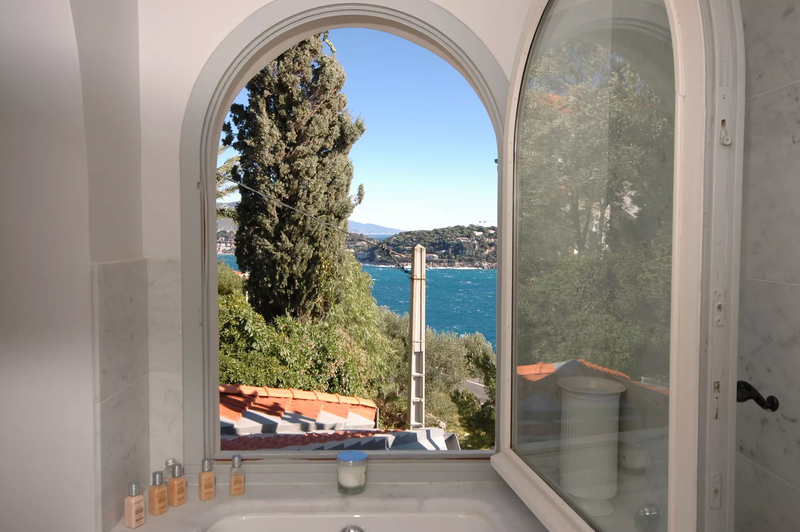 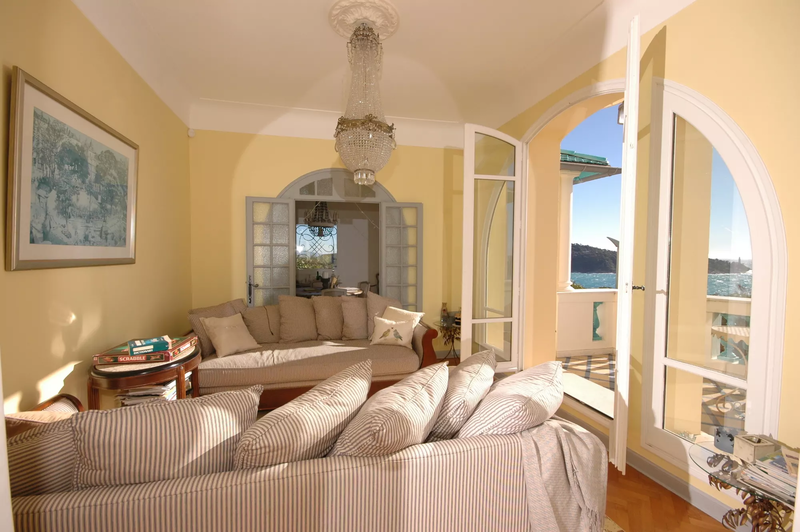 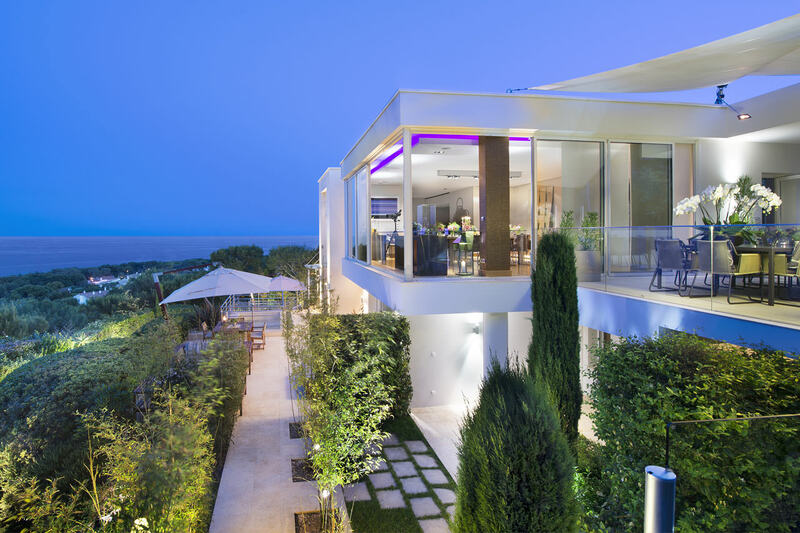 From its privileged position between Nice and Villefranche-sur-Mer, this air conditioned Mediterranean villa enjoys striking views across the Baie des Anges and the Gulf of Villefranche. A few minutes’ walk takes you to the local supermarket, pizzeria and coastal path; but it will take you 25 minutes to walk to the beach and the train station for a convenient, hassle-free way to explore both the French and the Italian Rivieras. 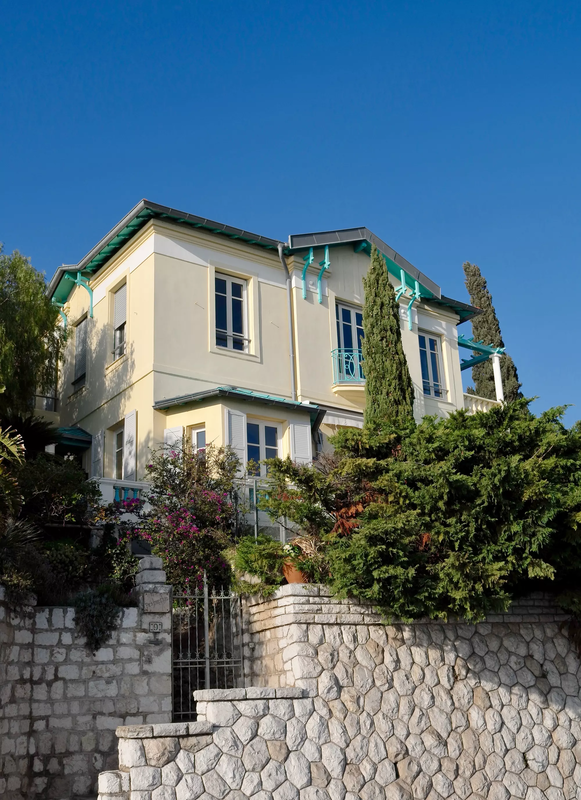 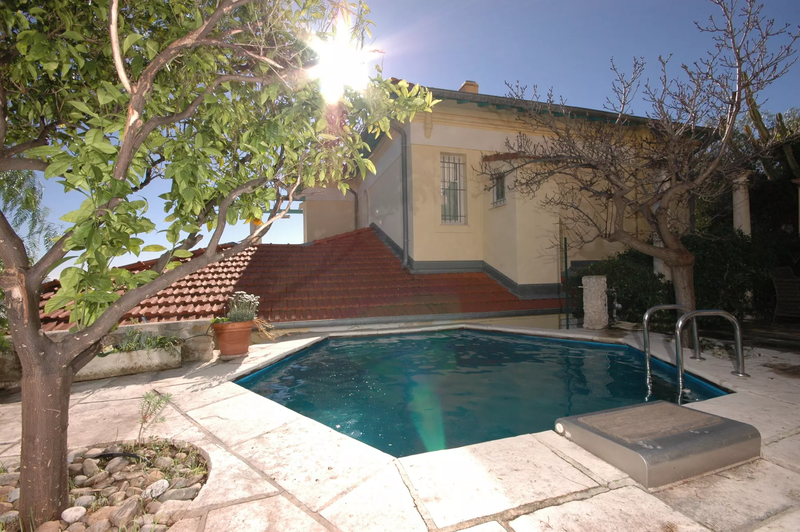 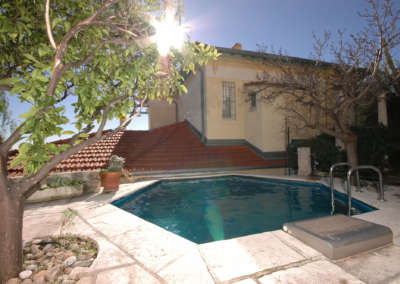 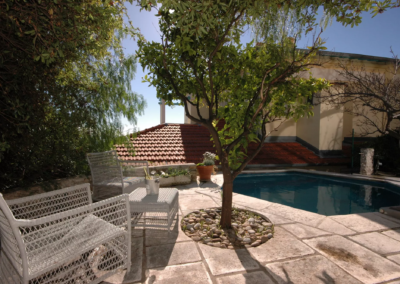 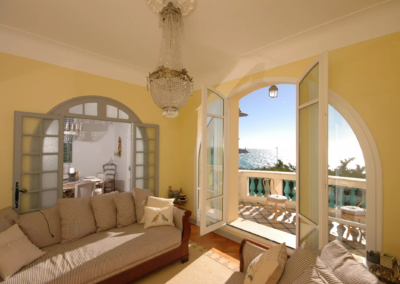 Built in 1908, this beautiful villa retains much of its Belle Epoque charm and elegance combined with all modern comforts. 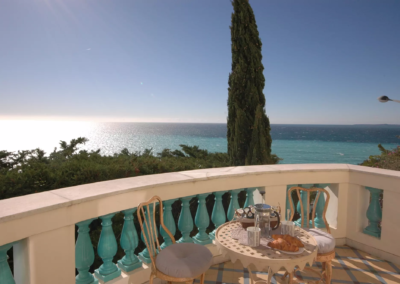 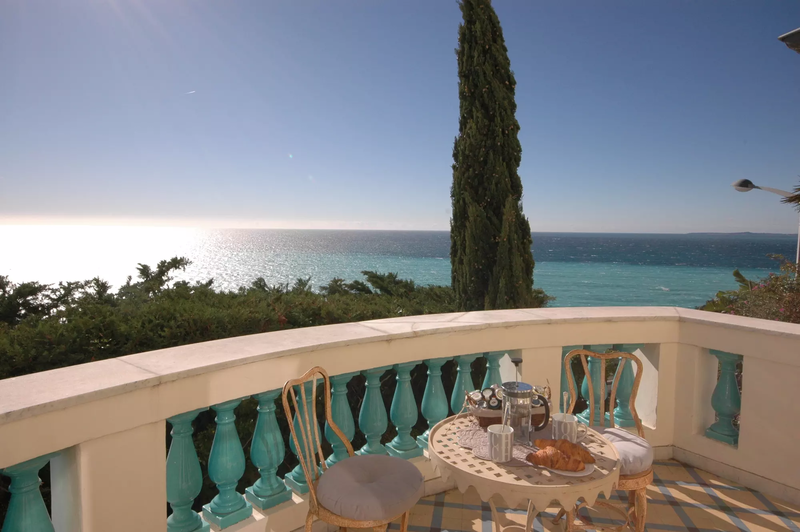 The uninterrupted view over the Mediterranean sea provides a stunning backdrop to your morning breakfast, afternoon tea or dinners al fresco on the marvellous terrace! And when the temperature rises, a dip in the plunge pool under shady trees is the perfect way to cool down. 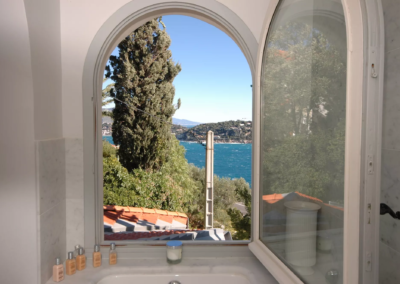 Walking to Villefranche only takes 25 minutes, depending on your pace. 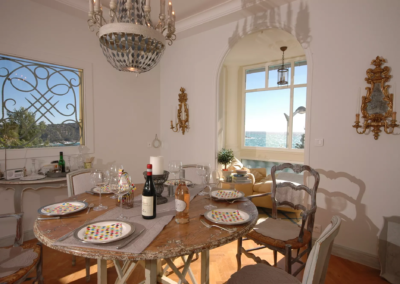 The train station is equally close at hand and perfect to reach acclaimed destinations such as Cannes, Nice, Monte Carlo, Menton, and even Ventimiglia, just across the Italian border, famed for its fabulous Friday market. 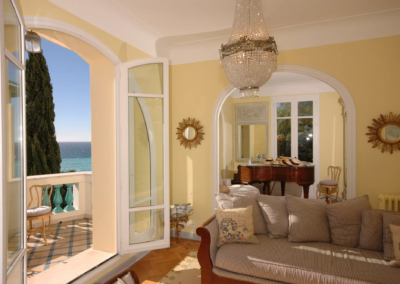 In fact, you could comfortably enjoy a pleasant ride along the costal railway line as you set off to visit a different weekly market every day, brunch in Monte Carlo and later stroll along Menton’s pretty lanes, or go as far as Cannes to promenade along the Croisette and fit in some shopping therapy – all without having to negotiate the traffic. 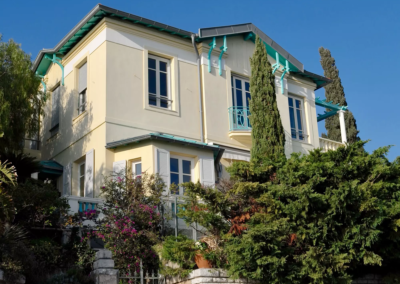 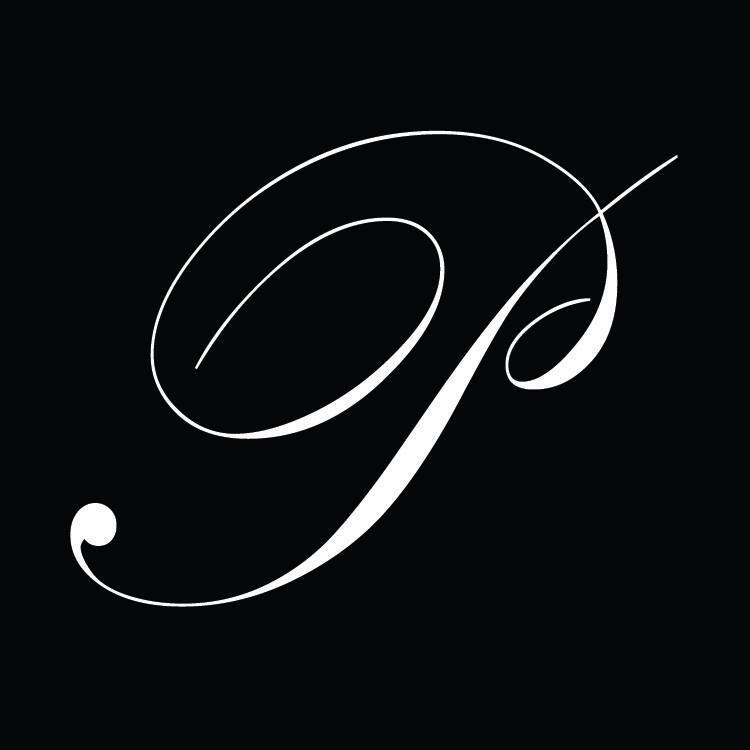 And before you leave the region, make sure you include a visit to Villa Ephrussi de Rothschild and Villa Grecque Kerylos, both within four miles of your villa and superb examples of grand French architecture. 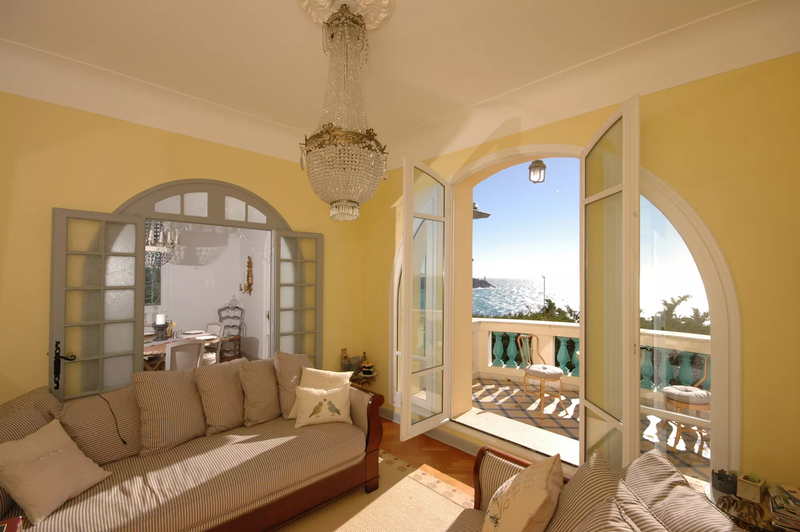 Large open plan living area, (TV, grand piano), French doors to terrace with sea view. 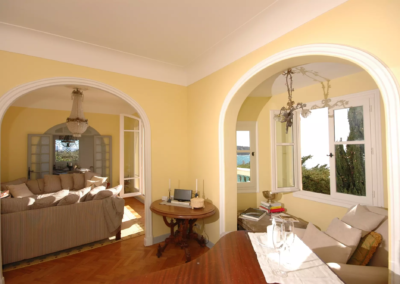 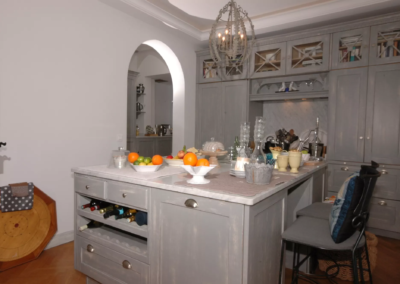 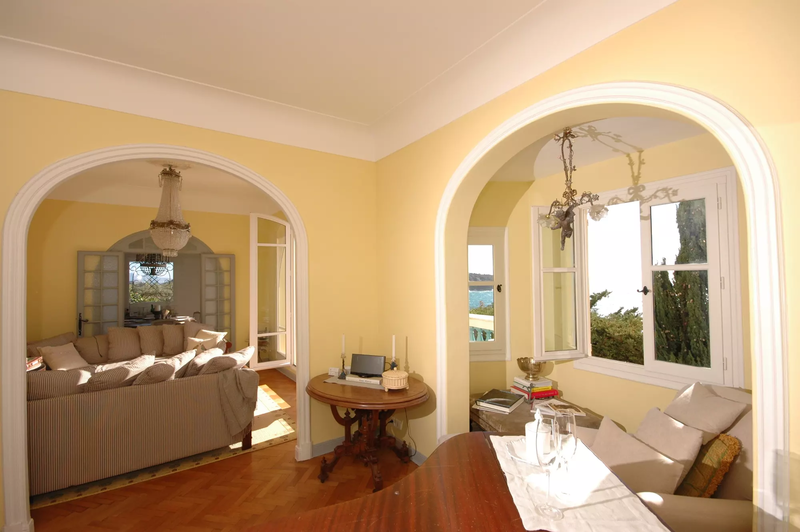 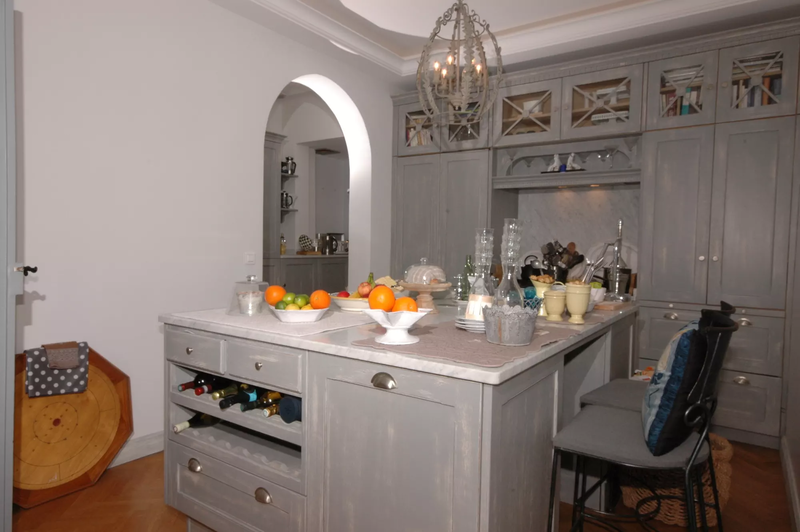 Open plan kitchen/ breakfast/ dining room, French door to terrace, sea view. 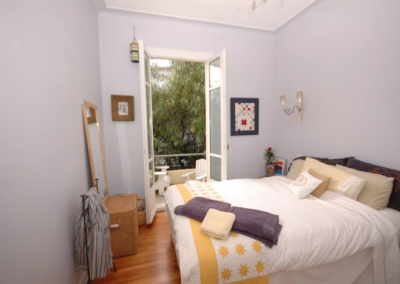 Double bedroom (1.60m) air conditionining, ensuite shower room, WC. 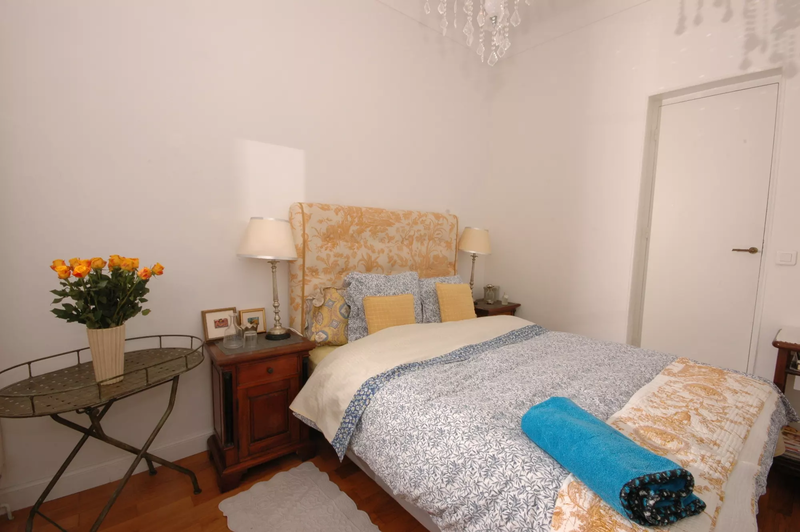 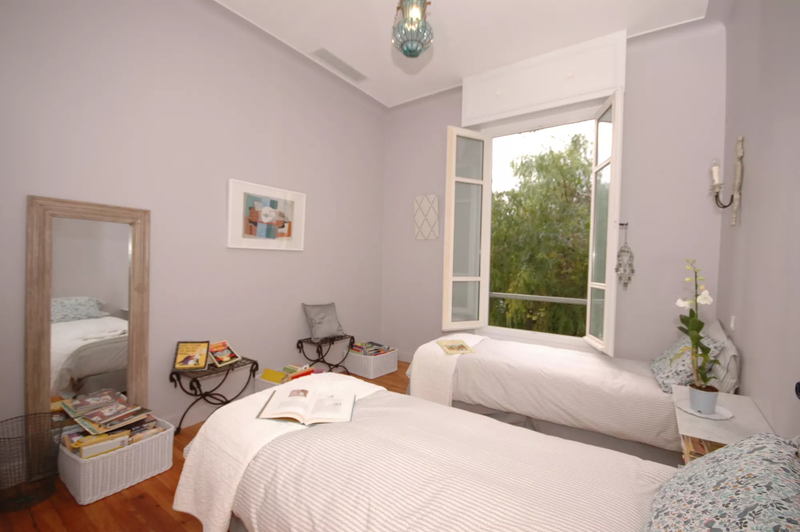 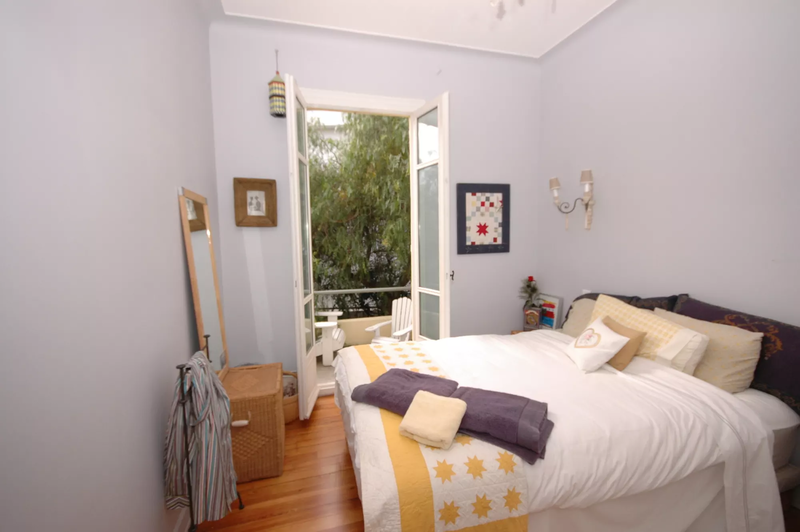 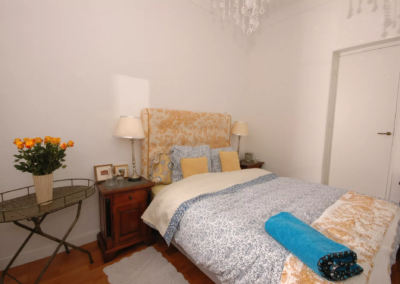 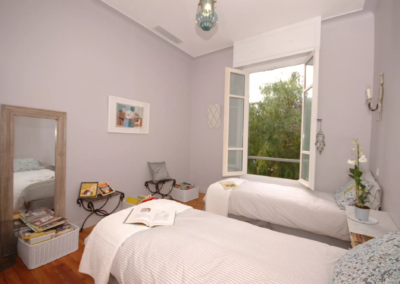 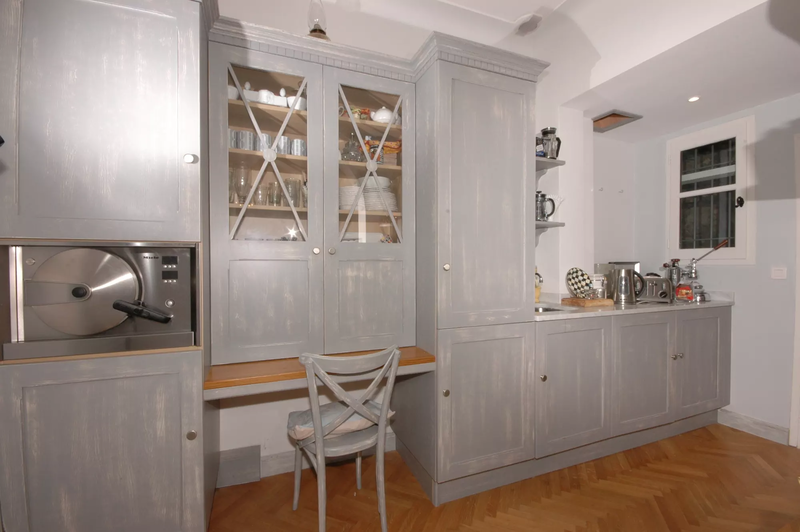 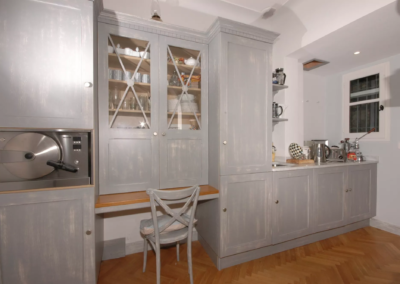 Twin bedroom (2 x 0.90m), air conditioning, French doors to private terrace. 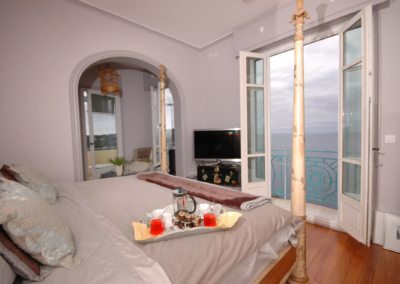 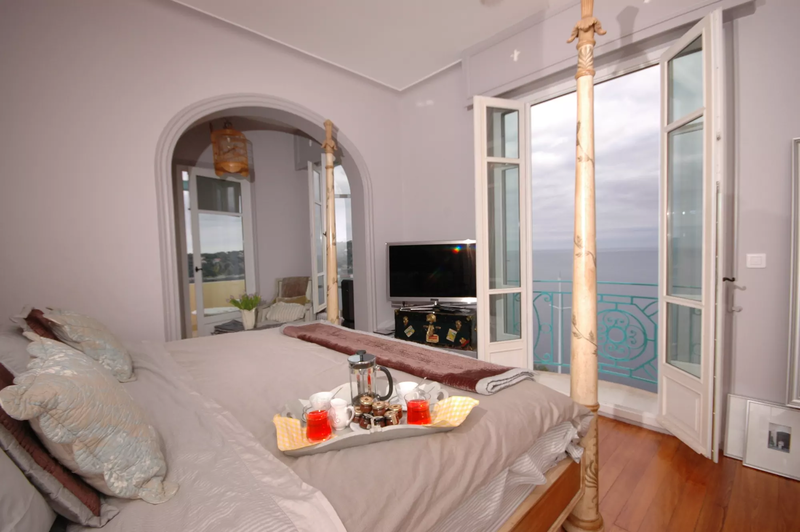 Master double bedroom (1.80m), (TV), air conditioning, French door to balcony and terrace with sea views. 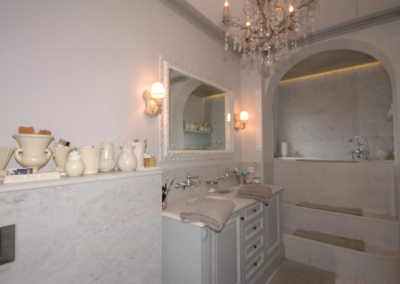 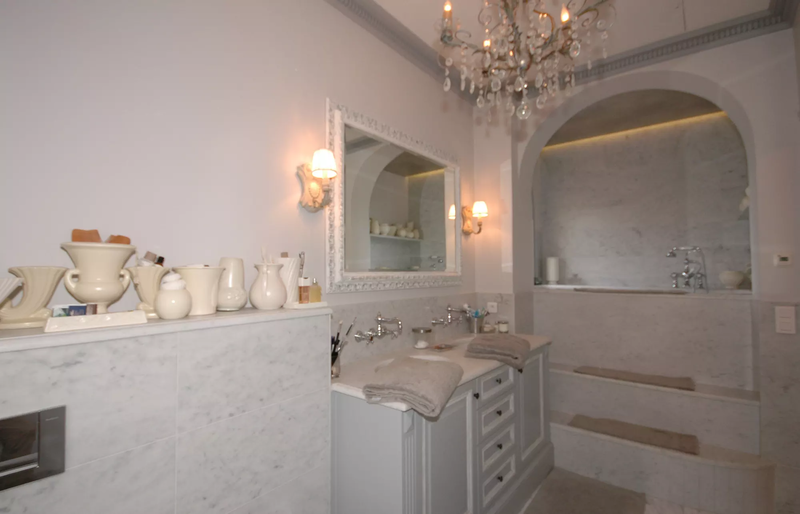 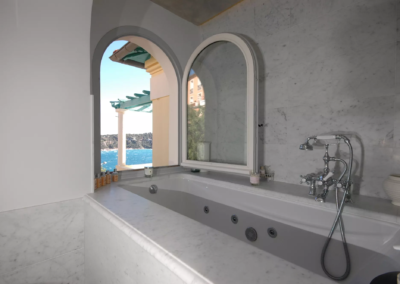 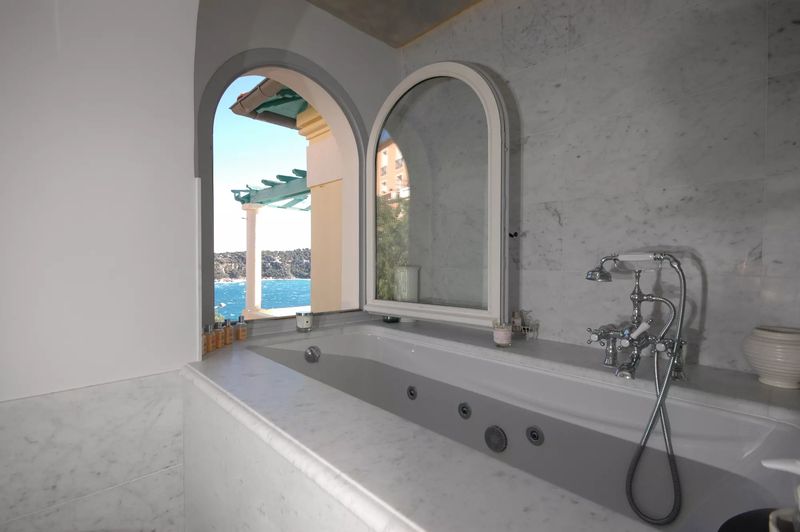 Separate bathroom, Jacuzzi bath-tub, WC, sea views. 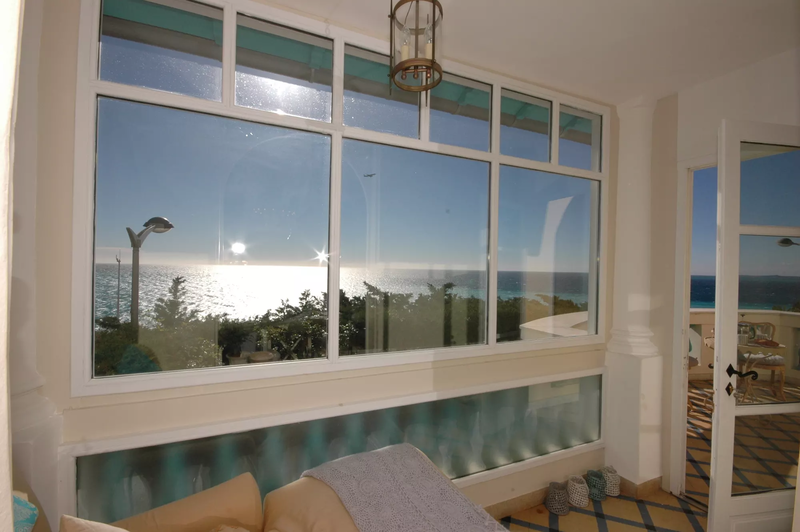 The unique sea view and the walking distance to the local shops and restaurants.